Today we have the huge pleasure of interviewing Zane Piese, founder, formulator and entrepreneur at Atlantis Skincare. Zane has been with Formula Botanica since 2015 and we have been honoured to be part of Zane’s journey in starting Atlantis Skincare. In fact, Zane has attended all of our student conferences to date and we frequently meet up with Zane at live events throughout Europe, so this makes today’s interview even more special for us. Hi Zane, please introduce yourself to our readers! I was born in Latvia, a small country in North Europe near Baltic Sea, and grew up in the countryside. I spent my days in meadows and woods with animals and plants. It was an amazing childhood, perfect for me to learn more about life cycles and plants – both for food and medicine. My mum was a traditional medicine doctor but she always started all healing with plants and if they didn’t help only then would she switch to tablets and antibiotics. 🙂 I loved learning from her, for me it was normal to use plants to heal cuts, to make masks for my hair, and use plants when I became ill. So I choose to become a horticulturist and a gardener. After college I followed my path to University and received my master’s degree in agriculture. 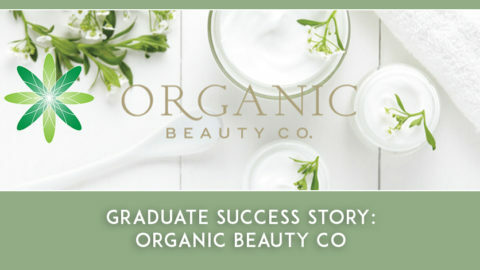 When I had my children and moved to England, by accident my path lead to the cosmetic industry and after 12 years I suddenly realised I wanted to learn how to make my own cosmetics. So I started learning with a Cosmetic science course with Society of Sosmetic Science. 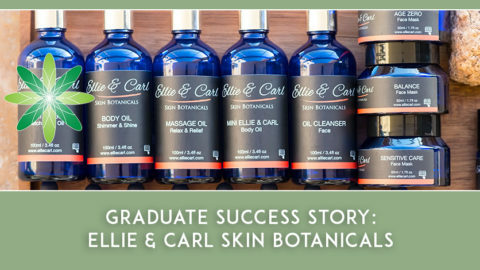 Studied for 2 years, invested so many hours in learning but didn’t get the satisfaction of understanding how to make natural skincare. 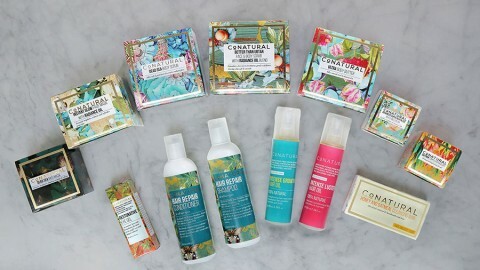 One day my friend sent me a link to Formula Botanica and voilà – Pandora’s box was open. 🙂 I was studying again like crazy – I finished courses within days and weeks, not months. I was researching ingredients, experimenting with ingredients, learning again and discovering more and more…such an amazing adventure I am on! 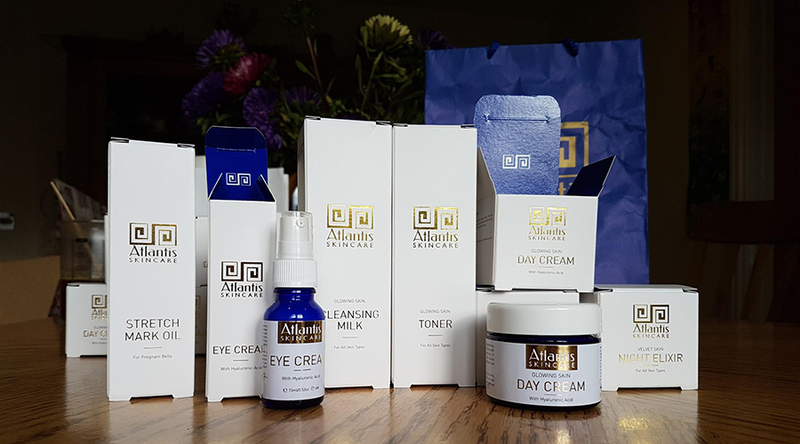 Atlantis Skincare is based near Bath, UK and we have 2 product lines – skincare for 40+ at Atlantis Skincare and a baby/children line at Vauva Natural. Where did the name Atlantis Skincare come from? Atlantis Skincare was born on the Santorini island – the lost island of Atlantis. I love this place and once in Santorini I was meditating for the name for my skincare company and it just came to me, I knew then how I wanted everything to look – logo, colours, list of products. I explained my idea to my designer and she was astonished – she had a similar vision for my brand logo, name and colours….I don’t think it was an accident. 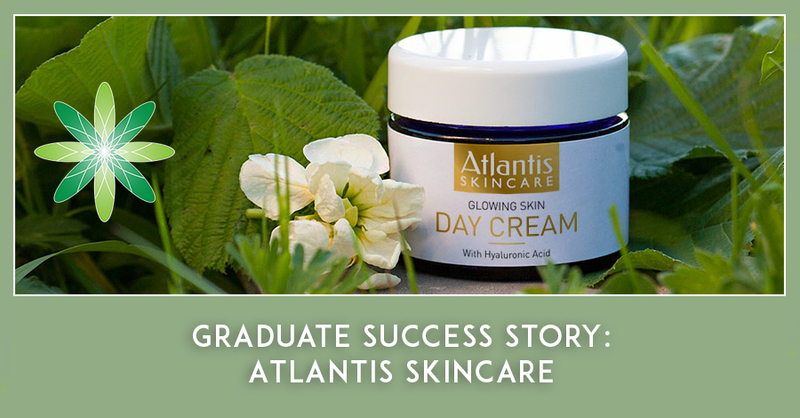 What type of skincare products do you sell at Atlantis Skincare? We have full set of skincare for age 40+ – a day cream, eye cream, night elixir, night cream, cleanser, toner and face mask. 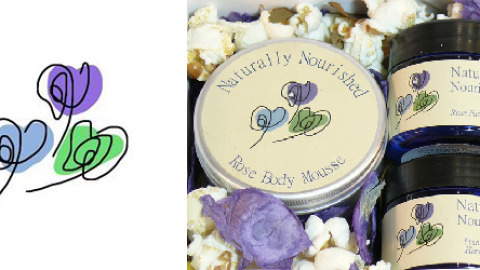 All luxury, freshly handmade and natural products. We use organic ingredients wherever possible. We stock a stretch mark preventing oil for pregnant bellies – we have some amazing results with this product. We also formulate a baby foaming shower gel, baby oil, an aromatherapy room spray for good sleep and reed diffuser for good sleep. My favourite ones are my Atlantis Skincare day and eye creams, as well as the stretch mark oil – this had amazing results on my daughters and daughter-in-law’s pregnant bellies, they have no stretch marks at all, and my daughter has 2 children and no marks! Also I love the baby oil, my grandson was born with very dry, flaky skin and this oil cured his dry skin within a week. Actually each product has a story and I can keep telling these stories for hours. I simply love my skincare and my work. 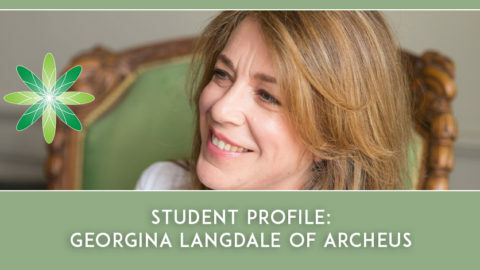 Apart from Formula Botanica I have studied professional level perfumery, all about natural oils with Susan Parker – she is the industry oil expert, Essential oils with Robert Tisserand and still on herbalist training – the day is too short to do it all at once 🙂 I love learning as much as creating and as much as doing business 🙂 This is my life. First of all – I am a very restless soul. As soon as I feel bored I get depression. I am also very curious and I love learning. After being in this industry for 12 years you feel like hmmm, it’s a bit too boring and stale here:) so I needed a new adventure, new skills, and to meet new people. I started to attend some events and courses and people started to cross my path. 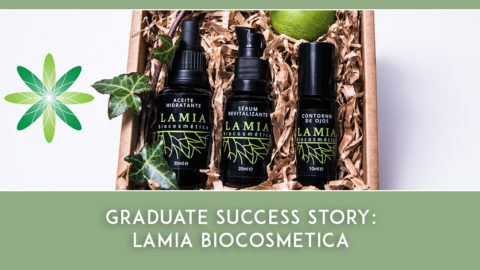 I was so ready for this, just like a ripe plum 😉 The day when I found Formula Botanica it changed my life – it was like fresh air, like something I was missing but I didn’t know what is was until then. Why skincare? Skincare and plants are the perfect combination, plus my love for nature, and this was just like a secret formula. A full picture of a puzzle. Time management and keeping the quality of my products high. 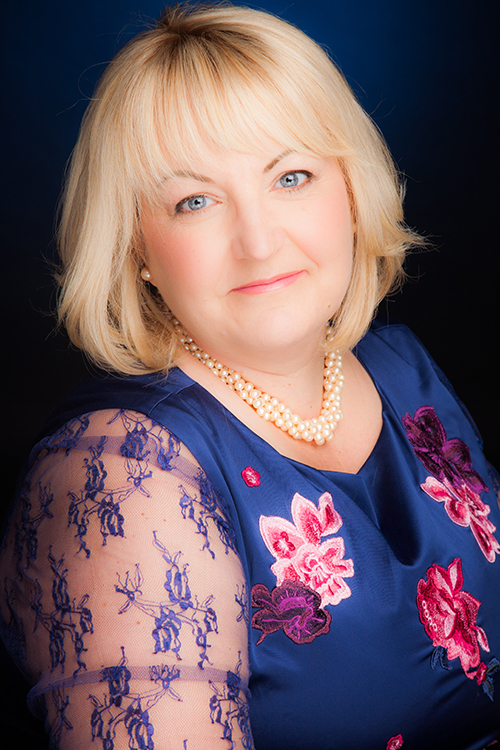 As we already have one business, plus having to learn lots of new skills, plus social media and new formulations and and and….. It is and was a challenge for me. Also I chose to go for the luxury market, as I think my products are luxury, with freshly made natural plant essences and I don’t want to get cheaper ingredients or go for a factory production, because there are so many brands who do this. I also don’t want to use water as a cheap filler and use active ingredients just for marketing purposes. I want my skincare to be real, to do wonders with people’s skin and deliver my passion and love for quality and nature. And I know people feel this! Don’t think it will ever be easy. Don’t think you can achieve a lot without investing your own time and energy. Be ready to invest money – mainly in marketing! Be brave and go with your dreams – this is the only way to get freedom, in terms of time, money, the work you do…. Yes, it is a lot of hard work, time and energy, but one day when you will take a look back on your journey you will love each day of the struggle and problems as they are the best teachers and adventures. Use opportunities!! Be ready for them – they will come only to people ready to act! And have fun!